Atlantic Builders and Design of Massachusetts provides comprehensive design, planning and construction services. The firm's philosophy combines building and design principles as they apply to enriching the lives of our clients. By working very closely and promptly responding to our clients, we are able to present well-designed environments that integrate function and aesthetic appeal. Projects include commercial work, custom and spec homes, additions, decks, remodeling, porches and masonry work. 3 BHK Independent Floor (G+2) with Excellent Construction quality. 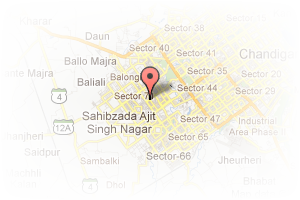 Address: Near Civil Hospital, Kharar, Mohali, Chandigarh, India. 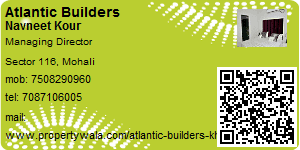 This Broker Profile page for "Atlantic Builders" has been created by PropertyWala.com. "Atlantic Builders" is not endorsed by or affiliated with PropertyWala.com. For questions regarding Broker Profiles on PropertyWala.com please contact us.